Tender Quick | Page 2 | Smoking Meat Forums - The Best Barbecue Discussion Forum On Earth! Discussion in 'Canadian Group' started by GaryHibbert, Feb 8, 2018. Our Superstore in Leamington, Ontario has bags of Easy Cure. I believe it is the same as TQ. They bring it out when their pork legs and shoulders go on sale for sausage season. Thanks dooch. Never thought about Superstore--it's not our usual. There were several suggestions about the Co-Op Grocery Store that I decided to check it out. First Co-Op I tried (Barrhead Ab) had it in stock, sitting with the rest of the salt. no major stores in my city carry it, but a local family style store brought in a case. I have a bag of it... I can check for more, if you want. This is curing salt #2, which is used in dry cured and fermented meat products that are not meant to be cooked. Cures cannot be used interchangebally, so do not use #2 as you would a cooked product with #1. Instacure 1 and Prague powder 1 are the same, as are Instacure 2 and Prague powder 2. 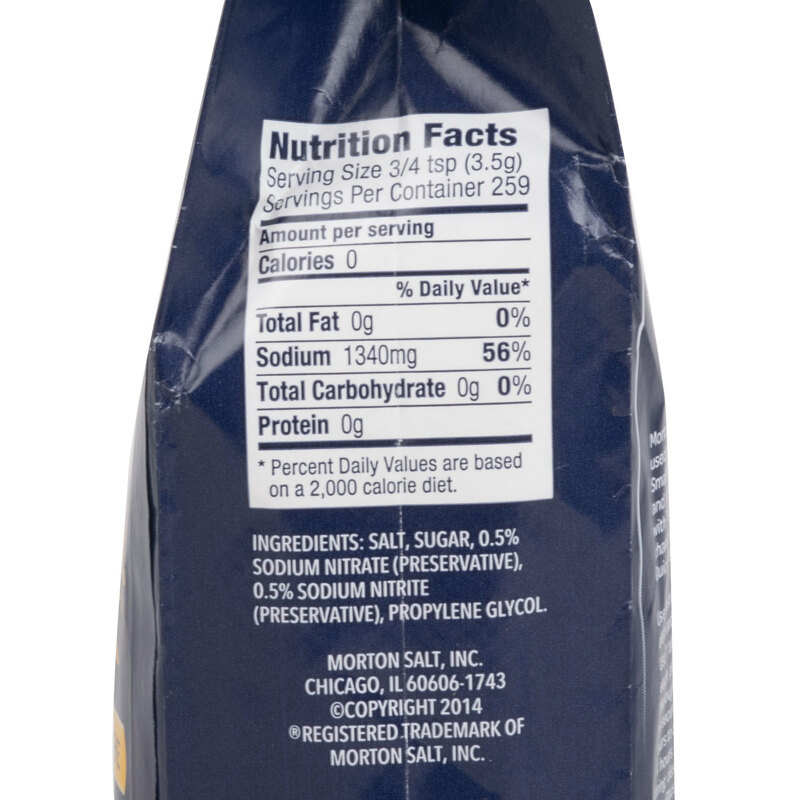 Instacure 1 contains 6.25% sodium nitrite and 93.75% salt. Instacure 2 contains about 6.25% sodium nitrite, about 1% sodium nitrate, and about 92.75% salt. I just bought 10 lbs of TQ and I had to pay $12.50 per bag, so $6.25 per lb. my only concern if I were to try making my own is the mixing issue. to get it right, you'd really need to dissolve it, then dehydrate it back to crystalline form. I would not trust any large amount to stay mixed over time. For me, the extra cost is a small price to pay to ensure safety when using a "Dry Brine" curing style. And if there is any question, I can revert back to a wet brine! Smokey Bacon did you read the "advisory" on the cure #2 labels ???? Plus I will add, "Since most of the people who avoid using TQ because it contains Nitrates, instead of only Nitrites, why would anyone mixing their own curing mix be adding Nitrates at all?" I'll keep buying my TQ, at about $4 or $5 per 2 pounds. That 2 pounds of TQ will cure 64 pounds of Bacon & Dried Beef, or 128 pounds of Sausage.